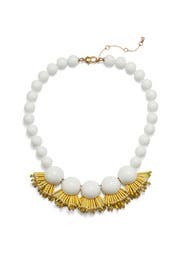 Glass, resin, and gold plating come together to create this vintage-inspired statement necklace by kate spade new york accessories. Includes a 2" extension so it can work with different necklines. 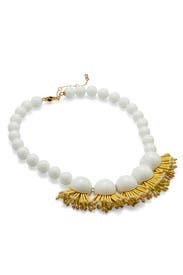 12K gold plated necklace with large white baubles and yellow fringe accents. Lobster clasp closure. 18" long with 3" extender chain.